A White Marsh tavern will be honoring the memory of a local college student next week. 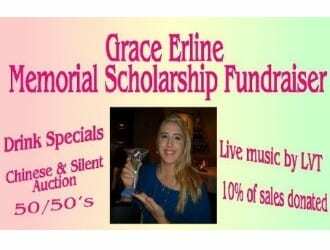 DellaRose’s Avenue Tavern will hold a fundraiser on Wednesday, September 21, to help fund the Grace Erline Memorial Scholarship (or GEMS). Grace G. Erline was a junior at Notre Dame of Maryland University, where she was studying for a bachelor’s degree in radiological studies, died at her home in Parkville on November 12, 2015, of complications from tongue cancer. Erline worked at DellaRose’s as a hostess and waitress. The fundraiser will take place from 4 to 10 p.m. on Wednesday. There will be live music by LVT and 10 percent of the proceeds will be donated.